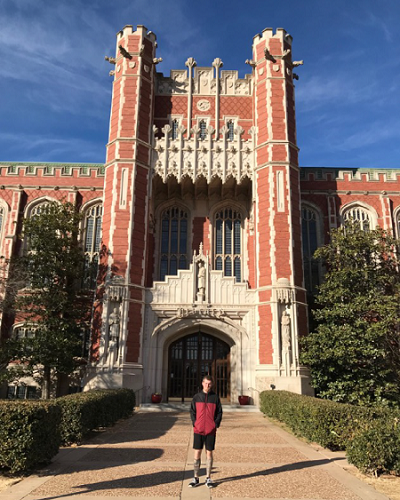 Current grantee of the Visiting Graduate Student program Alexander Chudak is starting his 2nd Master's year at the University of Oklahoma and has shared his observations about how young researchers can benefit from participating in the Fulbright program. Photo 1. Bizzell Memorial Library, University of Oklahoma. Designed in a unique Cherokee Gothic architecture style. Photo 2. 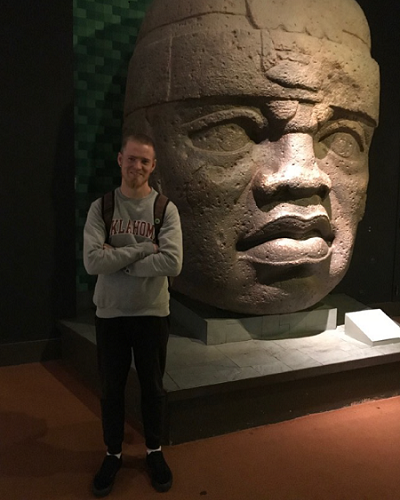 Replica of an olmec's head (olmecs were an ancient civilization in Mexico), American Museum of Natural History, New York City. «I got my long-awaited admission letter in April. University of Oklahoma! Never heard of it but as they noted in IIE, "this is a strong program in North American culture and Mesoamerica, which is what he expressed interest in". Exactly what I needed! That was my objective! As I mentioned before, antropology is somewhat unpopular in Russia. Well, Native American Studies is even less popular! I, for one, has been very interested in Native Americans since childhood. It's hard to study in that field in Vladivostok: all Native American Studies are centered in Moscow (MSU, RSHU) and St. Petersburg (Kunstkamera). Our department at FEFU mostly specialized in cultures of our Asian neighbours (China, Korea, Japan) and aboriginal people of Siberia and the Far East. Still, I defended my thesis on the role of plant hallucinogens in Native American culture and worldview, historically and in modern times. I intended to continue going in that direction in the U.S. Especially since Oklahoma is among the states with the largest Native American population, in both relative and absolute terms. Since my thesis in Russia was, understandably, mostly an overview and analysis of topical literature and included no field research of my own, I was going to fill that gap with my second thesis. University of Oklahoma is an amazing place for those studying Native American cultures. Their Antropology program is among top 100 in the U.S., even though the department mostly focuses on archeology. However, it did house my specialization, social antropology, as well. They have solid funding and, considering Oklahoma has 40 registered Native American tribes, to be an antropologist focusing on Native American Studies is a true pleasure here. The Native American Spirit Is All-encompassing in the University. Pow-wow Festival, Norman First American United Methodist Church. «All the gained experience can absolutely be applied in Russia. Not that many academics there focus on the life of Native Americans; as I said, most academic "powers" in this field are concentrated in Moscow and St. Petersburg. Amateurs as well are a very noticeable class in Native American Studies. 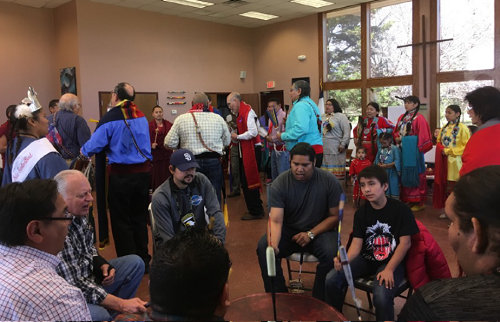 They unite enthusiasts from the website "Indians' World", host topical seminars and reenactors, make traditional costumes and arrange pow-wow festivals. They also publish books and share articles, including mine. I know some of them personally. In time, when I relocate to Moscow or St. Petersburg, I will collaborate with them more and participate in their seminars and other activities. America has given me invaluable knowledge and I plan to enrich it with my post-graduate research. Hopefully, I can get employed in this sphere as all - at a university, scientific research institution or a museum. I would love to develop Native American Studies in Russia, arrange more events, encourage potential young researchers - social antropologists, archeologists, linguists - those representing disciplines included in the broad definition of antropology. Of course, it isn't easy to influence the financing of such research bottom-up, this is a highly institutionalized and complex business. Still, I do believe it is within our ability to develop this field, first at an amateur level and eventually on a professional one.